The Renewable Fuels Association and Growth Energy filed a lawsuit in federal district court Aug. 30, alleging that the U.S. EPA and U.S. Department of Energy have improperly denied agency records requested by RFA, Growth Energy and others. The USDA has released details on the $12 billion in aid it previously announced would be provided to assist farmers who have been impacted by retaliatory tariffs. The NCGA said the plan will provide little relief to corn farmers. On Aug. 28, Rex American Resources Corp. released second quarter 2018 financial results, reporting increased net sales, revenue and net income. The company also briefly discussed ongoing work to increase the efficiency of its plants. 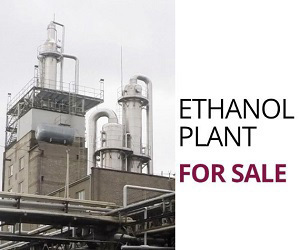 FROM THE OCTOBER ISSUE: Growing export markets and new coproduct lines are increasing demands on the ethanol laboratory. FROM THE OCTOBER ISSUE: Distributed control systems continuously evolve. Trident Automation has tips for staying current and efficient. 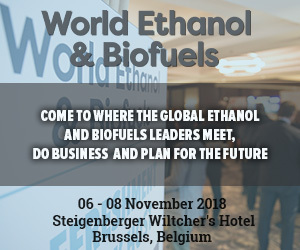 A report recently filed with the USDA’s Foreign Agricultural Service’s Global Agricultural Network provides an update of Brazil’s biofuel industry, predicting the country’s ethanol production will reach 30.755 billion liters this year. Growth Energy recently welcomed the fuel industry’s leading independent E15 retailers at the fourth annual Prime the Pump retreat in Brainerd, Minnesota. The three-day event allowed attendees to share best practices for tackling industry challenges. American Coalition for Ethanol Senior Vice President Ron Lamberty traveled to Xalapa last week for the fifth of seven technical ethanol workshops the U.S. Grains Council is holding for Mexican petroleum equipment installers and retailers. New analysis from the U.K. Renewable Energy Association indicates that there are significantly fewer main household cars on the road that are unwarrantied to use E10 than the Department for Transport presently estimates.